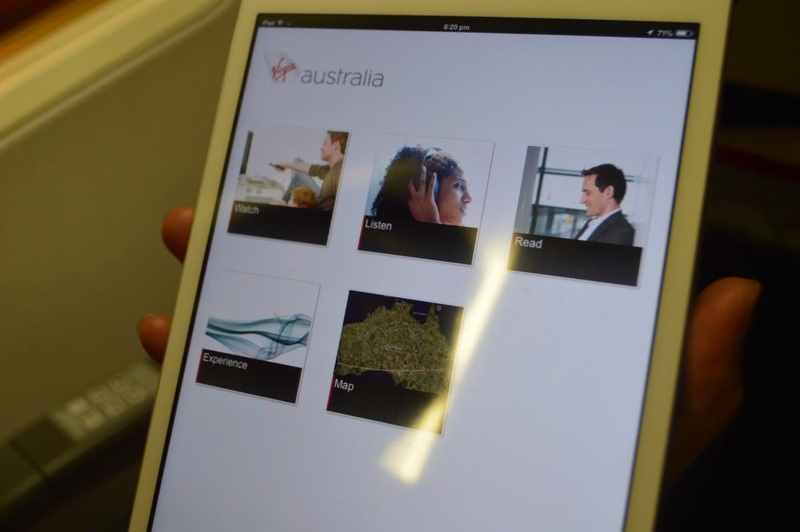 It is probably obvious to my readers that I am more of a Qantas/Jetstar flyer domestically in Australia, but in the interests of fairness here is a look at a short flight I took recently on Virgin Australia between Sydney and Melbourne. 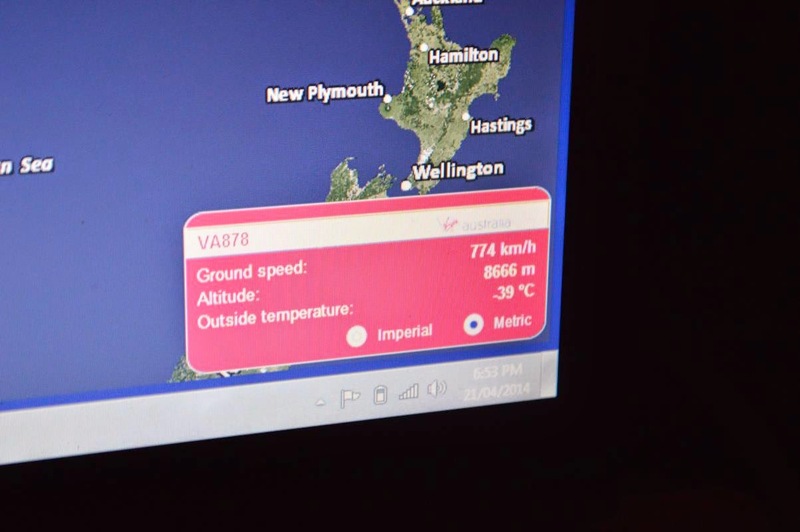 The flight is VA878, the 6.30pm departure from Sydney with an arrival time of 8.05pm. Despite the old colour scheme the aircraft isn't all that old at all. 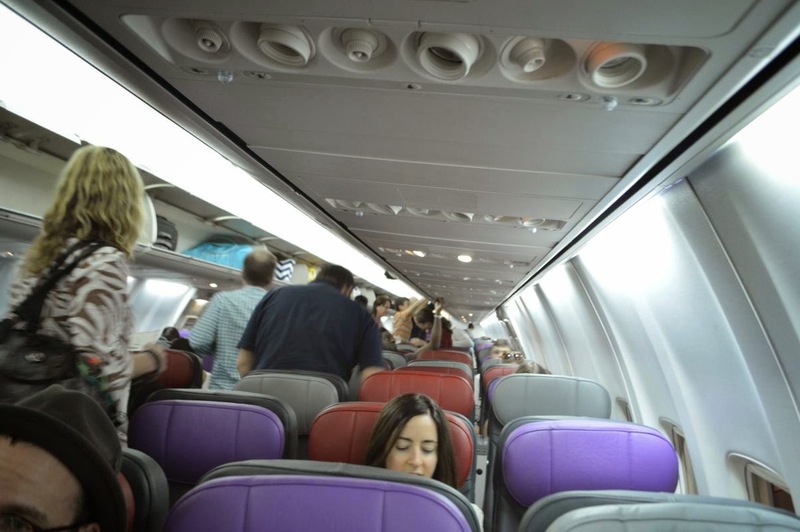 It was 6.5 years old at the time of writing and was fitted out inside with the current Virgin Australia cabin featuring leather seats and an 8 seat business class cabin. The economy cabin has 168 seats with 31 inches of pitch. I am a mere silver member with Virgin now which means no lounge access I'm afraid. Instead I had a couple of drinks in the T2 food court/bar area which has great views of the apron between the two terminal piers. With boarding time approaching I headed to the gate, there was a friendly welcome on board at the door from the cabin crew. My travel companion and I headed to seat 5A and 5B and got comfortable. The departure was right on schedule and we made a standard departure towards the south. Once the seat belt sign was extinguished passengers could make use of the airlines wireless entertainment system. This is an interesting concept, it's a BYO device system. Instead or providing tablets or iPads you must use your own device. It can be an iPad, iPhone or android tablet or smartphone. In addition to that you can use your laptop and view the system from your web browser. 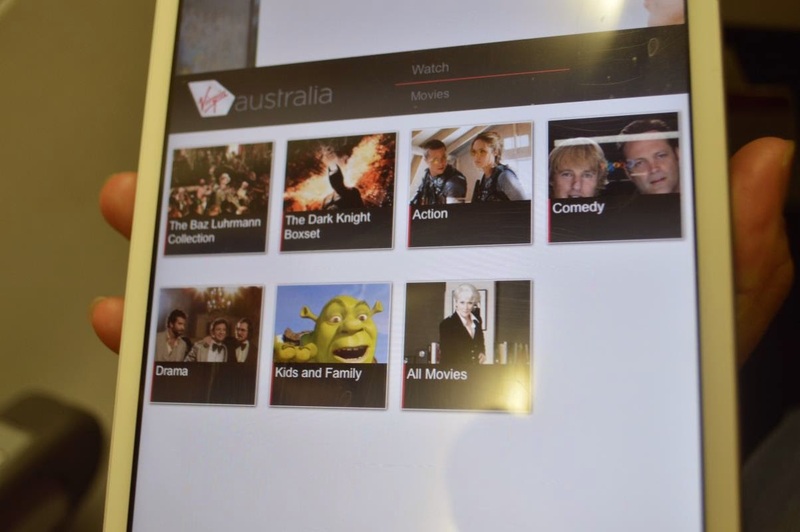 You MUST download the Virgin entertainment application before you board if you are using an android or iOs device. There is a great selection of movies, music and TV programs to choose from. You can also view the moving map display live from your own device which I found amazing! 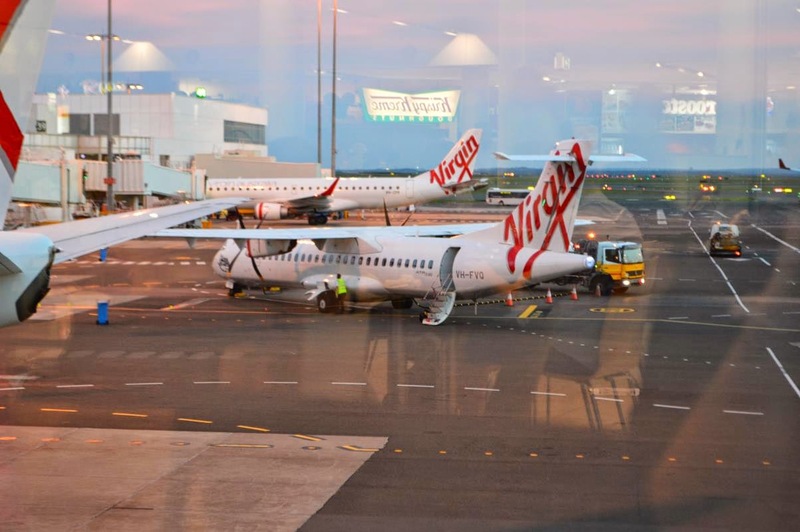 In-flight service soon commenced and Virgin has a new policy on flights between Sydney, Melbourne and Brisbane. On all services they now offer a free drink and snack. For flights departing between 5pm and 7pm the drink can include a complimentary beer or wine. There is also additional food and beverage available for purchase if you wish. 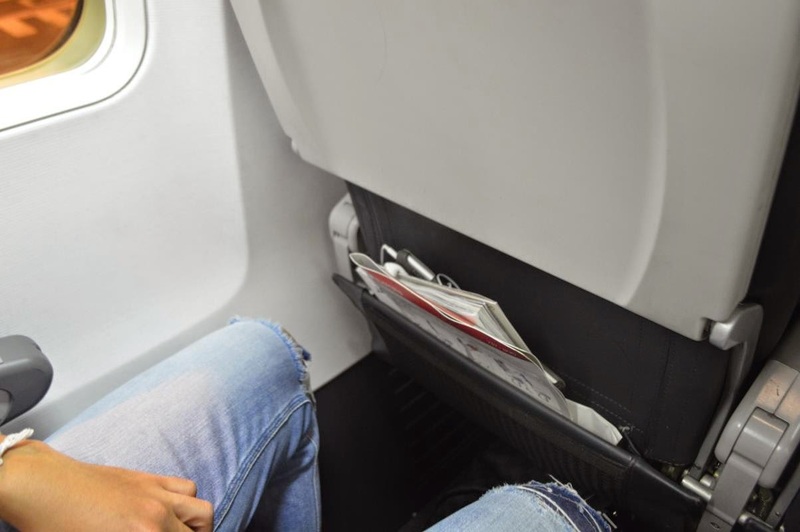 As Virgin have a quite complicated policy of what is free and what isn't on it' domestic flights it may be worth checking the policies on their website to see what you will be offered before you fly. Tonight's offering was a fruit and nut snack mix along with beverage of your choice. I had a mini bottle of white wine which was a 'Talinga Park' Semillon Sauvignon Blanc. It was ok and as expected for a free drink on a domestic economy sector. 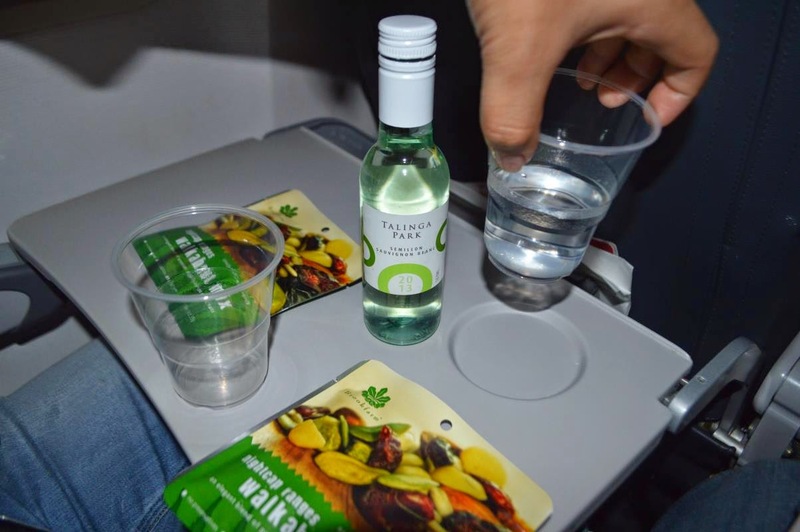 It's nice to have a drink and something to nibble on as you enjoy the inflight entertainment. The cabin crew didn't seem overly excited to be there on my flight though, but perhaps it was the end of their day. Not many smiles to be seen sadly, just doing what was required and nothing further. 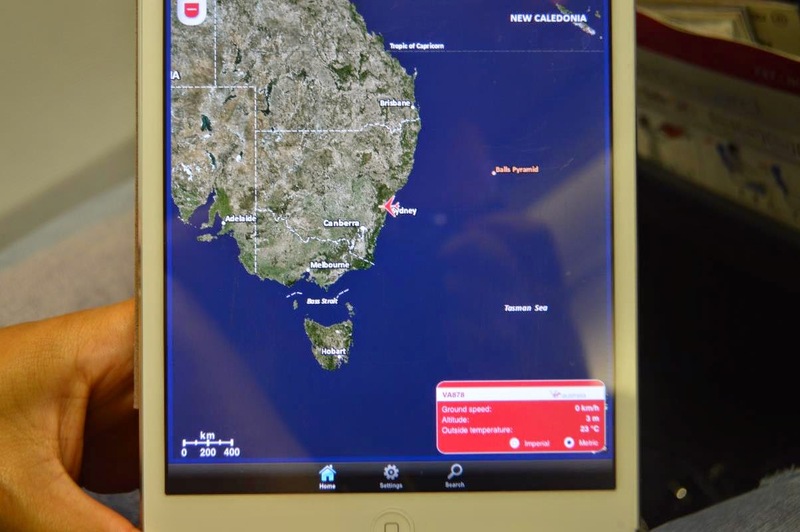 With my wine and snack finished we were soon on descent to Melbourne, the flight taking just 60 minutes in the air. As I disembarked I thought to myself how far the airline has come since it's humble beginnings as a low cost carrier in 2001. Back then the airline was a bit of a joke to me but they have now become a large and professional full service carrier and a worthy competitor to Qantas in Australia. I hope they both can thrive and provide the Australian public with continuing great service! Great report! I too am more of a OneWorld flyer but taking off to Hobart this weekend on Virgin so I am interested in seeing how they are. Unfortunately its an early morning flight so I'm guessing no wine for me! no wine and no food AFAIK. I think you get a free drink? Yeah its ended up being a coffee, and the wine needed to be purchased! I stumbled upon your blog a few weeks back and your reviews are always amazing!